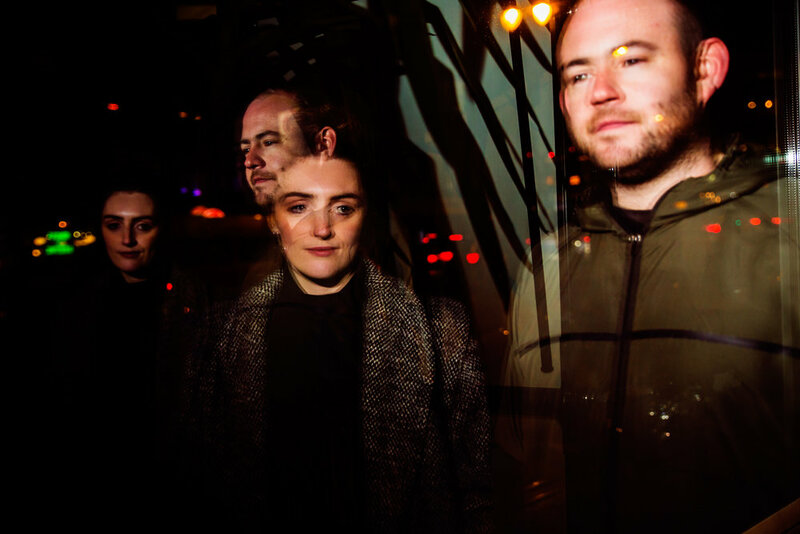 Something of an Irish scene legend, Eoin Whitfield’s latest endeavour sees a departure from the guitar-led sonic fury of former outfit Enemies, towards emotive electronica that’s hook-laden and polished. How do you think the electronic scene in Ireland has developed over the past few years? Would you say it's in good health? Well that's actually a near impossible question for me to answer as this is a whole new world for me. I guess you could say the indie rock/experimental scene is what I've been immersed in for the past 10 years with Enemies. To be honest I'm trying to find out more about the electronic scene and how to get my foot in the door. I hope it’s healthy and growing, it seems like the Irish music scene in general is growing, the quality and calibre seems to booming at the moment anyway. Do you feel there's an expectation for DJs to produce and vice versa? This is a question I hear getting asked frequently, but I'm not really sure. I can say though, that I feel a need to learn the ropes with DJing. I wouldn't say a pressure but I do feel it would help me advance in what I want to do. So maybe it works both ways. I would see producing and DJing to be two separate things, they are two different skill sets, I don’t see why someone who is killing it at one necessarily needs to adopt the other to prove themselves or whatever. It’s kind of like asking does an actor need to learn to direct? Or vice versa. Over the past 12 months, who - if anybody - has impacted the way in which you go about writing and recording, and why? I have a personal Spotify playlist named 'inspiration'. Whenever I hear a song that makes me feel creative direction I add it to that playlist - artists like Kiasmos, Stephan Bodzin, Moderat, Floating Points, Paul Kalkbrenner. I'm still transitioning from my rock past to my electronic present, so I really try to take in the formats and approaches when listening to electronica, house and minimal techno etc. It's all changing for me all the time, listening to artists like these brings me closer to creating what it is I want to be doing. What has been your proudest achievement since you began making music? I feel a great amount of achievement from both of my previous bands, both ran for roughly 10 years each which is an achievement in itself haha. Kidd Blunt For the impact we made on the Irish DIY scene, and Enemies for the widespread acclaim we managed to generate, both in Ireland, Japan and the U.S. It's an amazing thing to have built these mini institutions with my best friends. I'm hoping to get my first release out in the very near future, I've nearly got enough material ready now. I have more videos in the works too, both live band and officials. And then lastly, festivals. We really want to hit as many festivals as possible this summer, and every summer for that matter.